What’s Wrong with Monsters, Anyways? When in doubt, lead with the picture of the half-clothed muscular guy. Oh dear, was that sexist and exploitative? I was just trying to get your attention. 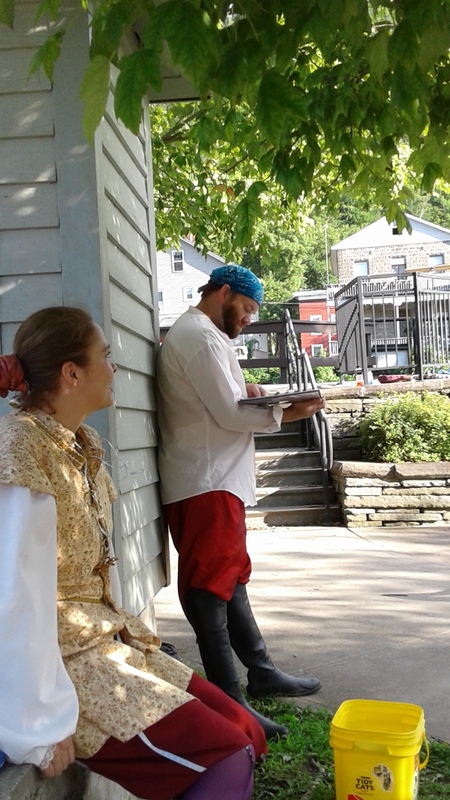 These are more pictures from LiFT Theatre Company’s preview performance of The Tempest last Thursday at Benton’s Landing in Little Falls (see yesterday’s post, if you haven’t already). 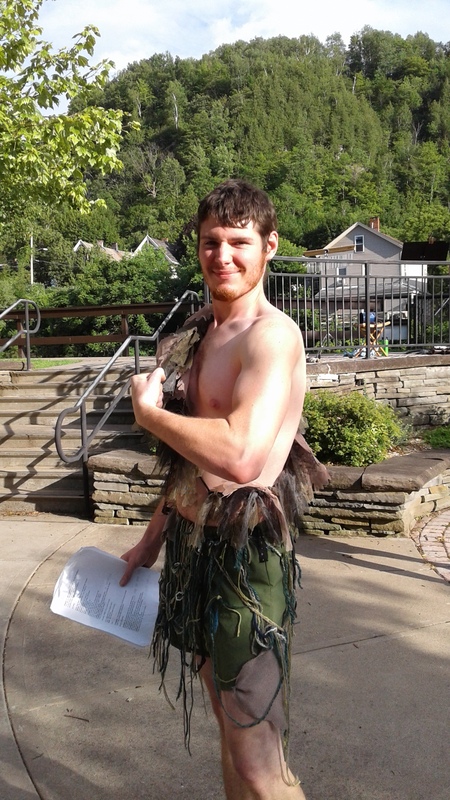 The chest-baring dude is our Caliban, a son of a witch (no, really, his mother was a witch; she’s not actually in the play, but they mention her) and kind of a monster (although the guys that call him “Monster” are drunk). It’s too bad her face is in shadow; I’ll try to get better shot for a future post. And here is our Ariel, a tricksy spirit who is servant to Prospera, the deposed Duchess of Milan. I don’t have a great picture of Prospera, but here is a not too awful one of her and her daughter, Miranda. Don’t worry; she’s nicer to Miranda in other scenes. Antonia is in the foreground; Trinculo is on book. Trinculo is one of the fellows who calls Caliban “Monster.” Caliban is apparently not offended by this form of address. Right now Trinculo is “on book.” For the uninitiated, that means he is standing by in case an actor forgets a line. The actor has only to yell, “Line!” and the prompter supplies it. In the movies, I’ve seen prompters backstage during performances, loudly whispering forgotten lines to hapless actors on stage. I personally have never been in a play where this was the case. However, we presented the Preview Performance as a Work on Progress. Hence, the prompter. Astute readers may have noticed that I have referred to people by their character names only. Well, you see, I did not want to take a chance on misspelling anybody’s name, and I do not have ready access to this information. I know, real bloggers research this sort of thing in advance. And here we come to the ugly truth about me. I can’t worry about that now. I have rehearsal in less than two hours and I haven’t even showered yet. Additionally, today is Non-Sequitur Thursday. I’ll just slap a catchy headline on and hope for the best. Oh crap, now I have to think of a catchy headline. 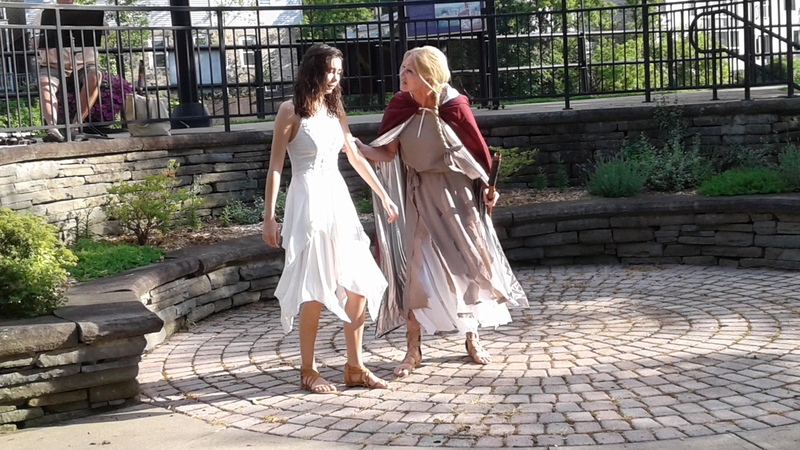 Posted in community theatre, humor, Non Sequitur Thursday, personal and tagged Benton's Landing, blog post, LiFT Theatre Company, Little Falls NY, pictures, preview performance, Shakespeare, The Tempest, theatre. Bookmark the permalink.